Wood is a versatile construction material that is ideal for all things from furniture to floorboards. There are lots of different types to choose from, and Oak is one of the most popular. 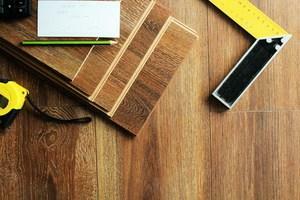 Deciding between Red Oak vs White Oak, though, can be tricky. That’s why we’ve written this article to explain the differences between the two to help you decide which is best for your needs. Oak is one of the most popular woods for use in construction in the US because of its hardwood properties that make it tough and resilient, particularly when used for floorboards or furniture. There are over 20 different species of Oak but are typically contained within the two categories of being a Red or White Oak. One species is considered red oak and another that is called white oak, but you won’t always be buying these particular varieties. Usually, you will be getting an Oak with similar characteristics to the color you use. It’s not just the species that affects the way the wood is, but also the individual tree and conditions it was grown. The distinction of Red Oak and White Oak should, therefore, be seen more as a guide to the types of traits you would expect to see in the wood as opposed to the exact species of tree that it came from. It’s not as simple as thinking one is red and one is white because the differences are far more subtle than that. White Oak comes from a species called Quercus Alba, and Red Oak originates from a species called Quercus Rubra. But as said earlier, there are some similar species considered to be similar enough to be sold as red or white oak. The different groupings of Oak all have very similar properties. Look Closely at the Endgrain. This only works if the end of the board hasn’t yet been painted or sealed. If you look closely at the pores of the wood you will find that the pores of Red Oak will be wide open and porous, while the pores of White Oak will be clogged up. This visual helps you to differentiate between the two but is also the reason for the main difference between the two. The fact the pores are clogged up is one of the best White Oak wood properties. This means that it is more suitable for damp environments and has an increased resistance to problems like rot or decay. Look Closely at the Rays. The Rays are the brown streaks you see running along with the grain on the flat sawn areas, and the shape and size of them indicate what type of oak you have. If you look closely at these streaks, you will find that they are either three-quarters of an inch long at most, or three-quarters of an inch long as a minimum. The shorter ones are seen on Red Oak, with the longer ones being from White Oak. Apply a Little Sodium Nitrate. For personal use, this may be an extreme step. However, this technique is used at saw mills to differentiate between the types quickly. By adding a little Sodium Nitrate, there will be a slight color change if you have red oak. If it is white oak, there will be a noticeable darkening within 5 minutes. This process changes the wood, so the part you test on won’t be usable. But it is a fool proof method of discerning the difference between the two types. As a hardwood, Oak can be employed for a broad range of projects. Usually, it is used for flooring or furniture. Deciding between Red Oak vs White Oak furniture mainly comes down to how you want it to look. Both types are available for similar prices and are of similar hardness (although White Oak is slightly stronger if that’s what you need). They do look different, though. As we said earlier, the graining (or Rays) of the wood are longer with white oak than red oak, and red oak also tends to be a bit lighter and pinker in color than the white variety. Using Red Oak for furniture is often thought to be slightly more appealing for its aesthetic properties, but if you need something more resilient, particularly in damp areas, then white oak is a better choice. As we said earlier, the graining (or Rays) of the wood are longer with white oak than red oak, and red oak also tends to be a bit lighter and pinker in color than the white variety. Using Red Oak for furniture is often thought to be slightly more appealing for its aesthetic properties, but if you need something more resilient, particularly in damp areas, then white oak is a better choice. Oak is an excellent material to make resilient structures with, so it is often used for furniture and flooring. It looks great too, but there are a few differences you need to be aware of when deciding between Red Oak vs White Oak. Red Oak typically has a warmer color and shorter rays, whereas White Oak is more water resistant.